Premiering at this year's Hot Docs, 'Mermaids' shows us how empowering it can be to put on a tail — inside or outside of the water. If you grew up with Disney's The Little Mermaid, there's a reasonable chance you had a few childhood moments wondering how it might be to live under the sea. But as an adult, it's unlikely you took that curiosity to the level of the subjects of the new documentary Mermaids, which is having its world premiere at Hot Docs this weekend. 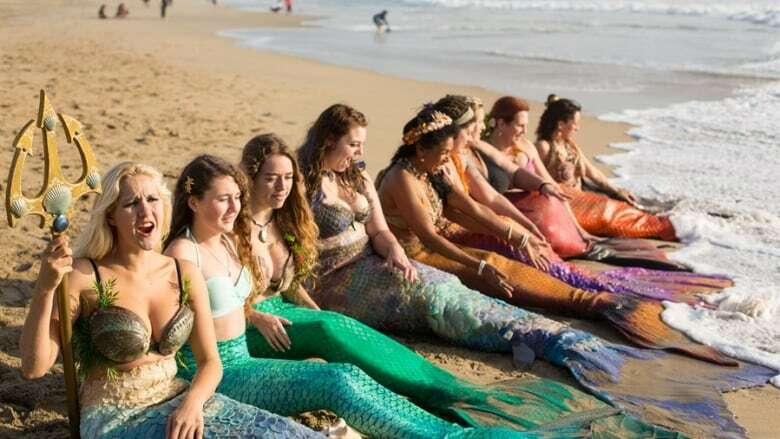 The film features a handful of women, each of whom identify as living versions of the aquatic creatures — and each with their own unique reason for "mermaiding." 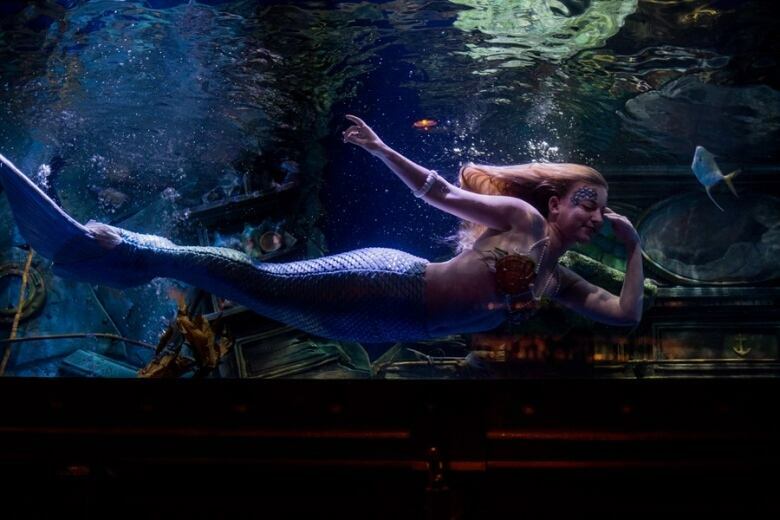 Toronto-based filmmaker Ali Weinstein was unaware of mermaid subculture until a few years ago she learned about a mermaid theme park, reading interviews with women who worked there who spoke about how completely transformative their jobs were for them. "For the first time since I was a kid, I started thinking about mermaids again and wondering what it was about them that was so alluring to so many people," she tells CBC Arts. 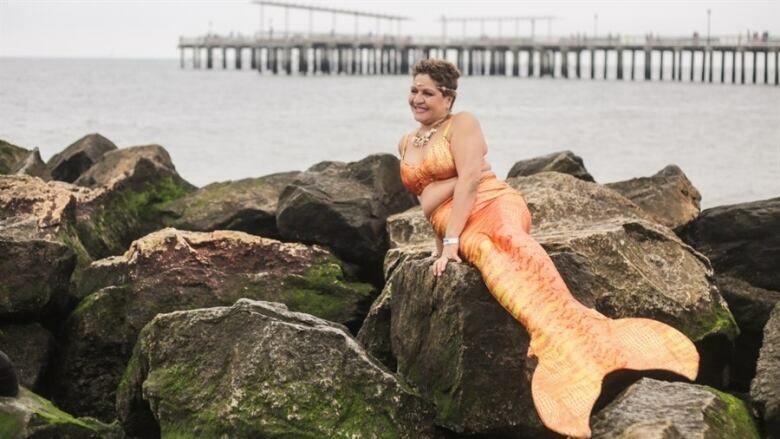 "I started researching mermaids online and stumbled upon this large and growing subculture of people who dress up in tails to 'mermaid' together — and became fascinated with this world." That fascination led Weinstein to take on the subculture as a film project alongside producer Caitlin Durlak and cinematographer Catherine Lutes. 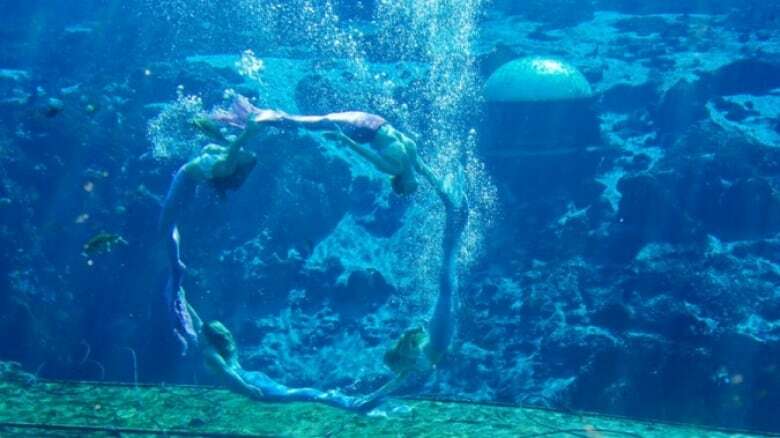 They made their way down to places like Florida's Weeki Wachee, the mermaid theme park she had read about, and to Merfest, "a grand gathering of merfolk and pirates" in North Carolina. They talked to young women just discovering their mer-identities, as well as older women who had been mermaids for decades. "The older women especially were incredibly eager to talk to us," Weinstein says. "When we didn't have time to fit them all in, one of the women even followed us to the airport to do our interview there just so she could share her story with us! I knew from that moment there was something special here — these women had such deep emotions about this part of their lives and desperately wanted to share them." "We showed up with our camera gear on the first day of [Merfest] and before the morning was over we already had a long list of people who wanted to talk to us on camera," adds Durlak. "It was a frenzy! 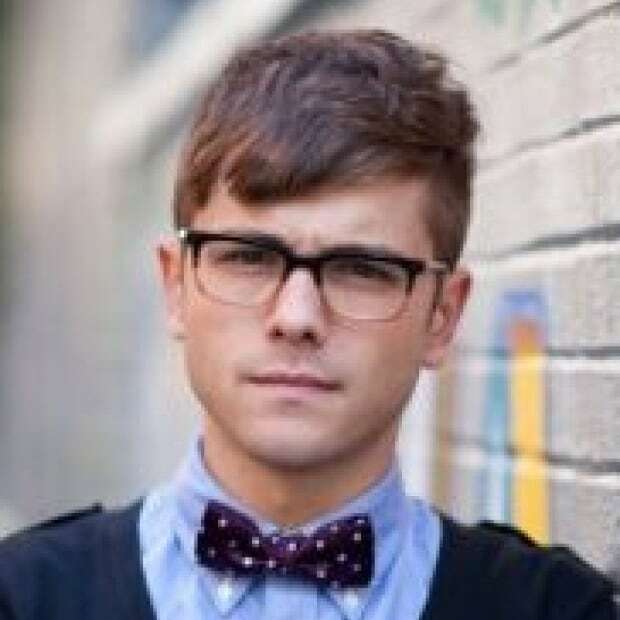 The mer community is extremely welcoming. I've never received so many hugs from strangers before. What amazed me the most during that trip was the honesty and sincerity they used when revealing some very personal moments of their lives. I remember driving home with Ali and us realizing that putting on a tail was almost a form of therapy for many of these people and, more important, a huge part of what shaped their identity — it made them stronger." As the filmmaking process continued, Weinstein thought a lot about the archetype of the mermaid, coming to realize that throughout global mermaid mythologies — and there are many, she notes — the mermaid has developed into this "complex dual character who is both strong and beautiful and free and at the same time lonely and at times very sad." "I think people, and especially women, connect with her because she represents a freedom that they may aspire to while at the same time having this very human experience of suffering," she says. "The real mermaids in our film are people who feel an inherent draw to this archetype of a free woman and truly embody her." "I hope that by the end, audiences relate to our subjects and have a sense of the deeper meaning that wearing a tail has brought into [the film subjects'] lives," Durlak says. "And I hope that the inner strength and beauty that our subjects show through the film inspire our audiences to feel a little more strong and beautiful themselves." "The act of putting on a tail for all the women in this film empowered them inside and outside of the water," adds Weinstein. "At first glance, it is easy to group together merpeople with other subcultures and not see a value beyond that. I know that people who enter the theatre feeling this way will leave with more open minds — in fact, I believe they will at the very least wonder what they might look like in a tail. I hope that our audience feels in awe of these women and motivated to find their own sense of community if they are lacking one." To paraphrase a certain famous mermaid's crab best friend, perhaps audiences might even wonder if it is indeed better down where it's wetter.